Federal government looks to rewrite regulations on fuel economy, greenhouse emissions. The Trump administration has taken another step on the road to amending Obama-era rules on vehicle fuel economy and greenhouse gas emissions for MY 2021-2026 cars and light-duty trucks. On Aug. 2, the U.S. Environmental Protection Agency (EPA) and the U.S. Department of Transportation’s National Highway Traffic Safety Administration (NHTSA) together unveiled a Notice of Proposed Rulemaking (NPRM) that suggested changing the Obama administration’s Corporate Average Fuel Economy (CAFE) rule. The CAFE rule requires all automakers to produce passenger cars and light-duty trucks that would average about 54.5 miles per gallon by the year 2025. The government’s NPRM proposes freezing the current fuel economy standard at the MY 2020 level of 37 miles per gallon and setting new standards for the model years 2021 through 2026. The NPRM also suggested ditching the waiver that lets California and other states set their own tougher fuel economy and greenhouse gas standards in favor of one national standard. “Our proposal aims to strike the right regulatory balance based on the most recent information and create a 50-state solution that will enable more Americans to afford newer, safer vehicles that pollute less,” EPA Acting Administrator Andrew Wheeler said in a press release. Regardless, the Association of Global Automakers and the Alliance of Automobile Manufacturers, two advocacy groups representing several automakers including Honda, Hyundai, BMW, Mercedes-Benz and Toyota, issued their own joint response that day. Meanwhile, the NPRM started the clock on a 60-day comment period for the federal government to collect public opinions about the proposed rule change. Following that period, the government will make a final ruling. The NPRM came after the Trump administration conducted a mid-year review of the CAFE rule and concluded that current CAFE needed revising. Carla Bailo, CEO and president of the Center for Automotive Research, headquartered in Ann Arbor, says that a rule change could bring relief to automakers struggling to meet the CAFE standard. Mercedes-Benz U.S. International located in Vance outside Tuscaloosa, Alabama, has committed to invest $1 billion in its plant to start production of electric vehicles and batteries. Nissan currently produces the Nissan LEAF battery electric car at its Smyrna, Tennessee, plant. At the end of 2017, the BMW plant in South Carolina announced that more than 12,000 electric hybrid SUVs rolled off of its assembly line. In addition, Denso, which makes parts for companies like Toyota Motor Corp., said the company would invest $1 billion in its Maryville, Tennessee plant to manufacture parts for EVs, hybrids and self-driving vehicles. Nevertheless, EVs, including hybrid electric, plug-in hybrid electric and battery electric vehicles, have failed to grab much market share. The same EIA report shows that EVs made up only 2.5 to 4 percent of total cars and light-duty truck sales between 2012 and 2017. The hindrance for a full battery electric vehicle, says Bailo, is that the infrastructure for charging stations is still lacking in most parts of the country. The few areas of the country where hybrid vehicles sales have grown are mostly in places the with a well-developed charging infrastructure like California and states that have incentive programs. But despite the lagging U.S. market demand for EVs, says Bailo, automakers still have to meet the standards set in other countries where the fuel economy and GHG emission standards are stricter. “When you look at who is leading around the globe right now, it’s Europe and China,” says Bailo, “and therefore, the electrification of those products needs to still proceed. And most of the automakers, since they have a five-year lifecycle, already had plans in place to be able to meet those standards, plus strive as hard as they could to meet the 2025 EPA ruling. 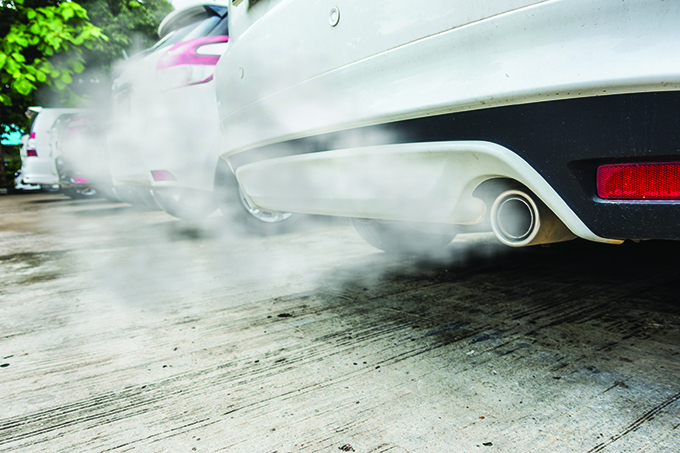 Meanwhile, an advocacy group for auto parts suppliers has expressed concern that a rule change might impede progress in the move toward increasing fuel economy and lowering GHG emissions, create more uncertainly and cost jobs. In a statement on Aug. 2, the Motor Equipment Manufacturers Association (MEMA) which represents suppliers, said. “MEMA is currently reviewing the lengthy NPRM document, however, we are hoping that the administration has addressed MEMA’s requests that the rule maintain the stability and predictability that our member companies need for continued growth. Back in 2012 when the Obama administration finalized its fuel efficiency standards, it said CAFE would save consumers $1.7 trillion at the pump, lower the nation’s oil consumption by 12 billion barrels and lower oil consumption by more than 2 million barrels a day by 2025. Moreover, the administration argued that its standards would cut GHG emissions from vehicles by about half by 2025. In contrast, the Trump administration says its new rule would increase U.S. fuel consumption by a half million barrels a day and “impact the global climate by 3/1000th of one degree Celsius by 2100. The report argues that when gas prices rise, U.S. consumers tend to purchase vehicles with a “smaller footprint,” thereby increasing the fleetwide average fuel economy. But when gas prices are low, consumers often pick larger vehicles, and the fleetwide average fuel economy falls. But if an administration in the future considers revising the standards, the effort would lower the starting point and delay low-carbon research and development, in addition to manufacturing investment by American automakers, the Rhodium report says. 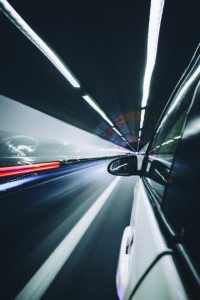 Bailo says startups engaged in developing innovations to reduce fuel usage and GHG emissions worry about efforts to slow down progress to make vehicles more environmentally friendly.